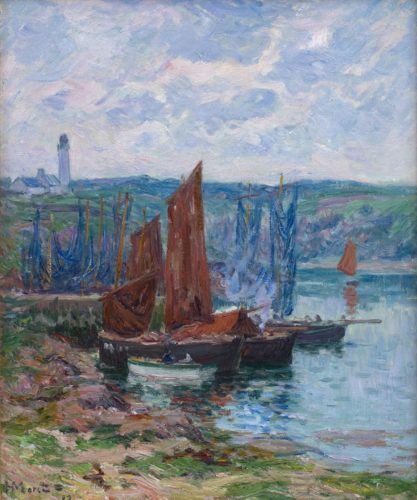 Henry Moret 1856 – 1913 “Bâteaux de Pêche”. Nationality: French. Canvas size: 18” by 15”. Frame size: 26” by 23”. Oil on canvas, signed and dated 1909. 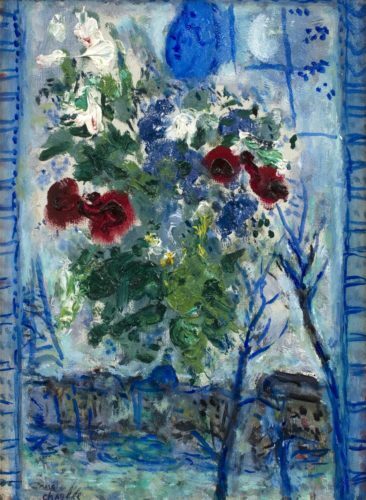 Marc Chagall 1887 – 1985 “Fleurs à la Fenêtre”. Nationality: Russian/French. Canvas size: 13” by 9.5”. Frame size: 21.5” by 18”. Oil on canvas, stamped with artist’s signature. 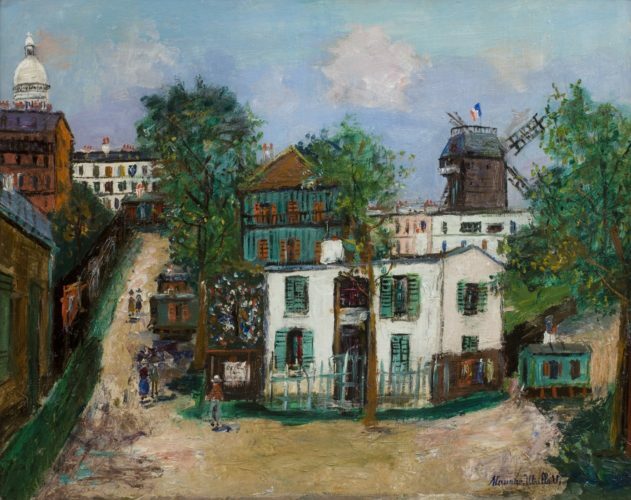 Painted in 1959. 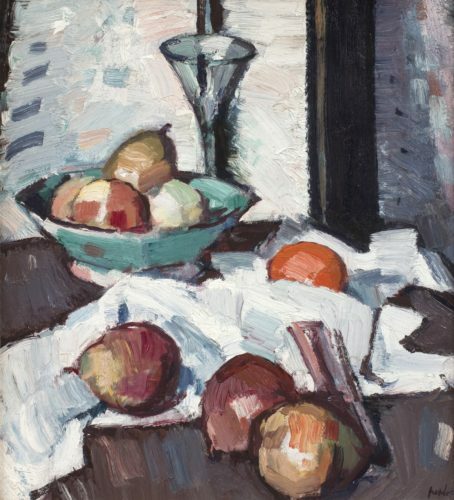 Samuel John Peploe RSA 1871 – 1935 “A Still Life of Apples and Pears”. Nationality: British. Canvas size: 17.5” by 16”. Frame size: 25.5” by 24”. Oil on canvas, signed. Verso ‘Portrait of a Young Woman’.